Would you listen to Dawn again? Why? I would listen to it again, because I have been a fan of Xenogenesis since childhood. But this book really does better in text than it does in audio. Would you listen to another book narrated by Aldrich Barrett? Possibly. I really didn't like the narration of this book, but that may have been a mismatch, rather than a narrative failure. I don't think the serious conflict, turmoil, disgust and passion of the characters came through, and you really need that emotional punch to leverage the social message that underlies the story. 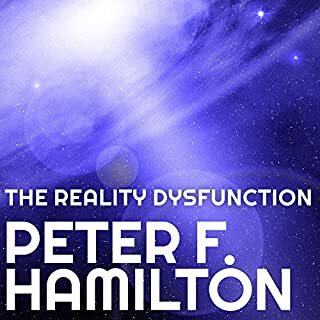 Would you consider the audio edition of The Reality Dysfunction to be better than the print version? No. John Lee is a phenomenal narrator and improves anything he touches, but some of the dialogue feels a little more natural as text. This was my first exposure to Hamilton, and having read more of his later works since you can really see the development in character expression and conversations. With all of Hamilton's work, you really experience the expansiveness of the Universe. There are many layers of plots and subplots patterned through, with multiple levels of allies and threats to continually level up the conflict. It can be really hard in Sci Fi to take human civilization seriously in the context of pan-galactic issues, even with serious technological development. In this book Hamilton manages to navigate these waters and make our challenges seem meaningful even in contrast with other much more developed species. No. I took it in fairly long chunks, but there is so much going on it often helps to digest a little bit in between story threads. When I am looking for a long and rich Space Opera to accompany me on a drive, I turn to Iain M. Banks, or Peter F. Hamilton. 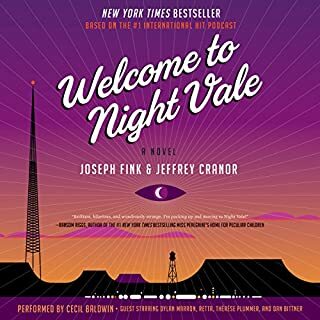 I was very excited when this series finally came to Audible. I had been looking for it for years, and couldn't ever understand why despite the popularity of his other series, this one hadn't made the jump. With Banks passed, I hope Mr. Hamilton continues to produce his excellent material for many years to come. What did you like best about Fellside? What did you like least? I think this book should have less prominently noted the author's history with "The Girl With All The Gifts". This book, while entertaining and well nuanced, is very different across the spectrum, and the contrast doesn't favor it. I spent the first half of the book subconsciously looking for parallels between the two worlds. 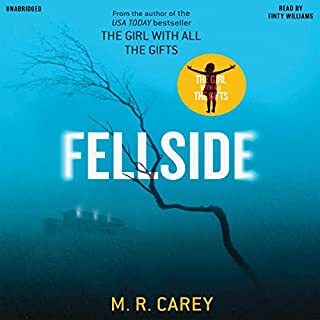 Could you see Fellside being made into a movie or a TV series? Who should the stars be? Probably not. You might be able to pull off some of the twists with a movie in a "What Dreams May Come" sort of style, but a lot of this is better painted with the mind. What made the experience of listening to The Player of Games the most enjoyable? The idea of a culture or society as an elaborate game is an old one, but rarely developed better than here. 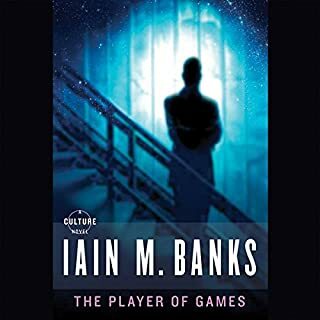 Games usually attempt to be a reflection of life, but a concept of one which is life in all its complexity is a fascinating idea, and one which Banks really brings to life here. I have, and this one, as with all of his performances, is excellent. He does a great job of fitting his voice to the story and allowing you to get lost in the plot. There is a moment where the protagonist is describing how he feels about winning, and the hollowness it creates. In games and in life there is a far greater satisfaction in playing beautifully than in winning, and this is something well captured by this scene. What would have made Blood of Innocents better? In the first book the characters developed individually and in their relationships in a moderately satisfying way. The protagonist's naive nature and feckless enthusiasm were excusable because he had grown up in a sheltered environment. In this book ,however, all of the characters just act as foils to progress a very predictable plot. Caldan is shocked, over and over, that he isn't taken seriously by people in power. This is really painful to read. It's like watching a bad horror movie where the irrational actions of the characters just make you want to punch them. And it is made worse by the fact that Caldan is supposed to be this strategic genius who is great at reading patterns and people. And he shifts between offhandedly slaughtering enemies, and being appalled that he has done something so callous as to strike a lady! (The lady in question being a murderous sorceress). All this ends up just making it impossible to understand his motivations or maintain respect for a character which the first book managed decently. Hogan got lazy with this book and instead of working on character development and finding ways to flow forward the plot from there just makes up absurd situations and conclusions to ram forward to the next story line. Also, he repeatedly uses the "I don't have time to explain right now" ploy to avoid characters from understanding what they need to, when there is never actually a shortage of time. Usually these phrases occur during the middle of journeys or preparation periods that are days or weeks long, and the explanation would take maybe 30 seconds. No time while making a campfire, or during eating, or before sleep? I don't mind suspending disbelief but it's much easier to get lost in a story if you maintain realistic premises for inter-character tension and lack of clarification. 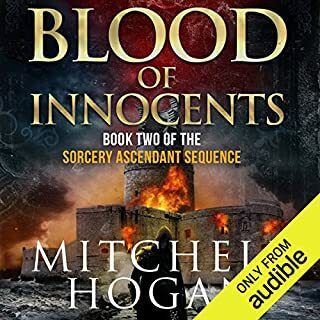 Has Blood of Innocents turned you off from other books in this genre? Wyman has a good voice and keeps dialogue going smoothly. He isn't as good as some in switching between male and female characters, but overall does a pretty good job of processing the story. What character would you cut from Blood of Innocents? The healer. She just whines and moans and has really flimsy motivations. Basically playing the part of "moral compass" (badly) to keep Caldan from treating Bells like the villain she is and getting crucial info out of her. If you could sum up Reamde in three words, what would they be? What other book might you compare Reamde to and why? 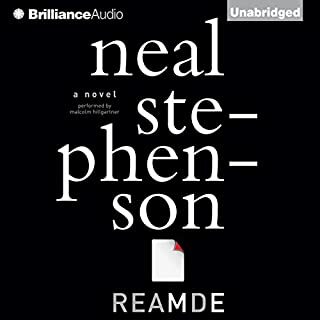 Neal Stephenson's books are really only comparable to themselves. His style of writing wherein he crafts a multiperspectived storyline that slowly weaves among itself until it comes crashing together in a final climax is reminiscent of a Robert Jordan, George R. R. Martin or Peter F. Hamilton saga, but handled in a much different way. Stephenson also introduces numerous political, philosophical, historical and technological themes that are expanded on or alluded to at numerous points throughout the novel. If you read some of his non-fictional work, you can see the brilliance of Stephenson as an interpreter of the trends of the modern world, but he manages to slide these ideas in unobtrusively throughout his fictional adventures. His earlier novel Cryptonomicon is the closest overall comparison that comes to mind. Brilliant reading. Hillgartner conveys Stephenson's wry humor and the aggressive brilliance of his characters with perfect aplomb. Dodge will always sound like Hillgartner's rendition of him in my head. 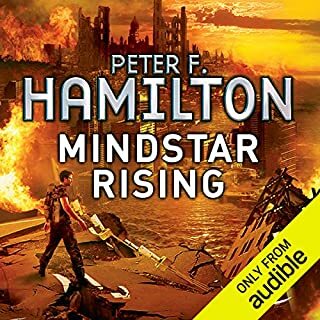 If you’ve listened to books by Peter F. Hamilton before, how does this one compare? I have listened to and read most of Hamilton's works, and though I enjoyed this one a lot, it doesn't stack up to his later Novels. Hamilton's brilliance is in crafting expansive epics with a diverse cast of brilliant and intrepid characters. This novel, while imaginative, simply lacks the scope, scale, and depth that lend greatness to some of his later works. 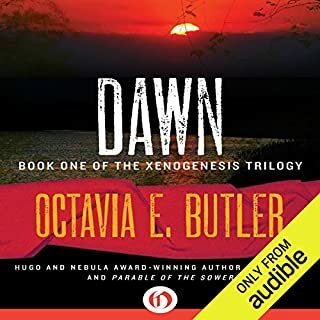 I am still sincerely hoping that an audio publisher decides to put his Night's Dawn trilogy on here eventually! With most fantasy novels, you get bogged down in remembering the complex mythos of the world's history, the ridiculous lineages and names of the characters and ruling families, or in suspending disbelief for the system of magic that governs the world. This book leaves all of these issues behind, and crafts a world of magic and politics as easy to believe in as our own. 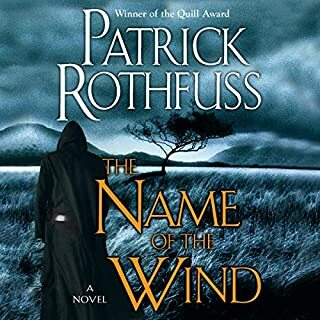 Rothfuss' brilliance is that for all of the fantastical elements of his story, he spends his greatest effort crafting complex and imperfect characters that we can empathize with, and grow to care about. Kvothe the child is recognizable in the innkeeper Kote, underneath the weight of years, experience and sadness that weigh him down. This layering of depth is difficult to craft, and all the more precious when it's done right. When you are done reading this book, you want nothing more than to find out more about what happened, and I fully expect that when this series ends I will return to it again and again because I will miss the friends that I came to know in reading it. Master Iloden is a brilliant character. Whimsical and mysterious, he is the best kind of teacher, and the best kind of inspiration for the young and the brilliant. He may be mad, but he understands the world better than any of the sane, real or imagined. Nick Podehl articulates this story to perfection. His variations in cadence, accent, and emotion convey the brilliance of the story and the personalities of the characters as well as any narrator I have ever heard. Having listened to this performance, I would find a different author reading the future installments as difficult to countenance as a different author from Rothfuss completing the series.